You may be relocating to Cambridge, UK because of a new job, the excellent schools, easy commute to London, or just because you’d like a new life in this historic university city. Searching for a new home is an exciting prospect but also time consuming and frustrating. Whether you are a private individual looking to relocate to the perfect city or a company needing help with the logistics of relocating, Relocate Cambridge’s professional rental and purchase services are designed completey to suit your individual relocation requirements and mean we can save you time, stress and disappointment. 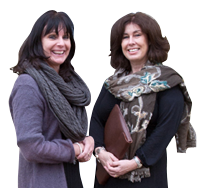 Our professional experience and expertise means we can find you the highest quality house or apartment available in the best location in Cambridge within your relocation budget. Relocate Cambridge is here to make your relocation a positive experience! © Copyright 2011 - 2015. All rights reserved. Web design by IBE.